An abandoned board game rests on the family room table, five no six pairs of shoes are strewn throughout the house, and my kitchen counter is littered with back to school papers I don’t know where to store. “I’m far from perfect,” I thought to myself as I began to read Amy Carroll’s book Breaking Up with Perfect. Gripped by the first phrase “My list defines me,” I read on. Carroll’s introduction of Breaking Up with Perfect opens with warm and witty observations that she sees women aligning themselves to a Good Girl Syndrome or Never Good Enough Syndrome. Those suffering from the Good Girl Syndrome tend to be “wound tight with a heightened sensitivity to any perceived slight or disapproval….task driven…and have an overdeveloped sense of responsibility” (page 8). On the other hand, for the Never Good Enough Syndrome, “perfectionist is more a learned behavior than a personality trait. It’s the way we’ve reinvented ourselves to hide or compensate for a past we’d rather forget,” (page 13). This book broadened my view of perfectionism and shed light in the dark corners where perfectionism prefers to hide. In each chapter Carroll outlines a lie of perfection and refutes that lie with the truth of God’s love. Some of my favorite lies Amy Carroll debunks includes the lie that “God is a taskmaster,” (page 22). “I was created to produce perfection,” (page 38). “I can create the perfect image of me,” (page 72). “If I have all the right stuff, my life will be perfect,” (page 90). 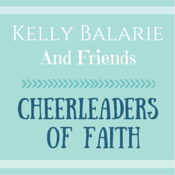 “When friendships get messy, it’s time to leave,” (page 122), and “Good Christian women are called to save the day,” (page 154). Relationship with Jesus Christ is the common thread woven in each chapter. “Relationship is the forge where Jesus refines His followers,” (page 62). Throughout the book, the author explains how deepening our relationship with Christ will be the only way we can truly break up with perfect. At the end of Breaking Up with Perfect, Carroll offers the readers practical tips called “Fifty Ways to Leave Your Perfect.” Some tips are thought provoking, while others bring out the necessary silly side to all of us perfectionists. Also included at the end of the book is a “Going Deeper,” sections which gives a chapter by chapter in depth look at Scriptures passages to follow up and aid in breaking up with perfect. On August 1, 2016, Amy Carroll launched a Facebook live online book study. Readers can join the Amy Carroll study by joining the private Facebook page or going to Amy Carroll (dot) org. Don’t worry about missing the date, these Facebook videos are archived so readers can watch them at their convenience. Amy Carroll is keeping the private page up after the book study is over. Breaking up with perfect is a difficult and painful journey. Most days I suffer with a case of the Good Girl Syndrome, other days I suffer from the ill effects of the Never Good Enough Syndrome, and some days I’m infected with both syndromes. Either way, Amy Carroll’s book has taught me I am deeply loved by God and I am not alone in my journey to break up with perfect.